Join Ohio Art League member-artist Todd Hickerson, along with clay aficionados Lena Simonian and Eric Immelt, for a symphony of color, light and form in Modern Primitiva; an exhibition which explores the iconic artistry of oceanic culture using natural elements, materials, and textures. 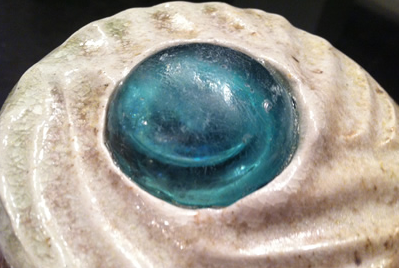 Modern Primitiva will be on display at Clayspace’s Gallery 831 March 9th through the 28th. Opening Reception: Friday, March 13 from 6:00 to 9:00 PM. While you’re visiting the Clayspace website, make sure you check out the vast array of classes and workshops the artists offer. With skill levels from novice to expert, it’s easy to find a course well-tailored to your goals.